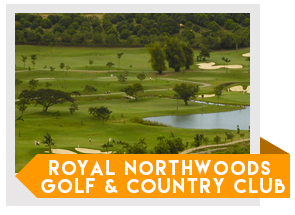 Sandwiched in between two mountains, the Sierra Madre mountain ranges and the Mount Arayat, is a championship golf course, the Royal Northwoods Golf and Country Club. 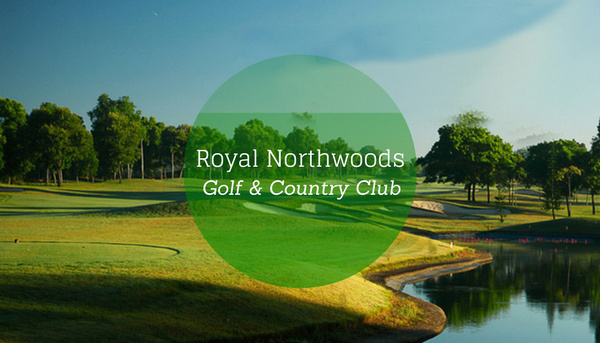 The Royal Northwoods golf course was designed by the champion Australian professional golfer Graham Marsh. He used the natural rolling terrain of the site to allow the flexibility of the design and to integrate further enhancements on the landscaping of the course such as the inclusion of the Willow creek in the site. The course is outfitted with Tifdwarf grass on the greens and Tifton 419 grass on fairways and rough. Although it was designed aesthetically it does not lose its playability and complexity for the players to be challenged. Sand traps and water hazards are strategically placed while keeping its artistic effect of the course. The Royal Northwoods Golf and Country Club have facilities that provides its players further leisure and comfort such as a driving range, practice putting green, tee houses in the fairways; storm shelters and a main clubhouse complete with male/ female lockers, jacuzzis, steam baths, spa & massage areas, a spacious dining hall, clinic and a grand ballroom, are available for the members to use for further personal leisure. The Golf Club is located at Coral-na-Bato, San Rafael, Bulacan. From Metro Manila the club is easily accessible using the route of North Luzon Expressway, then take the Sta. Rita exit to the Maharlika highway, the drive to the Municipality of San Rafael are paved to assure a leisurely travel, and was made easier by strategically placed markers along the way.